Inside shows this winged "snow angel" horse flying away! Each year we try to come up with at least a few new holiday card designs. Here are some of our favorites. 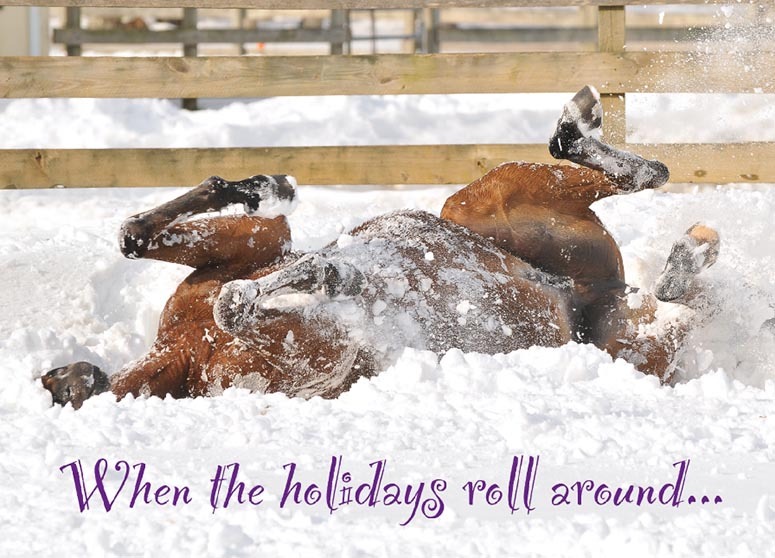 Shown here is a rolling horse - making his own horsey "snow angel" and flying off! The cover photo is by Sarah Andrew, the winged horse sketch is pictured inside, that's drawn by Lesley Bruce.